Most children yell or pout when they are angry. My daughter growls. Sometimes it's a low, rumbly bear-like growl. Other times it sounds more like a screeching pterodactyl. But either way, she expresses her anger like a wild animal gearing up to charge at me. Daddy was reminding CeCe to use "soft touches" and repeating "gentle ... GENTLE, CECE, GENTLE!" Sometimes she gets a little excited over all the fur. 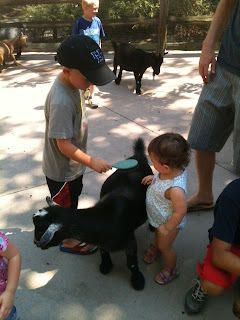 But the goats were very calm as a gaggle of hyperactive children poked and stroked all over their smelly coats. Her cousin James groomed the goats and sheep, because it's very important to look nice when you are an animal that eats trash and hangs out in your own poop pellets all day. 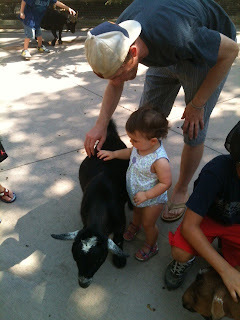 This last photo was just before our very wise parenting decision to take our eyes off CeCe for .01 seconds, and she tried to swing her leg over the goat to mount it. We stopped her in time, but I had visions of my toddler riding a goat straight into the wallaby exhibit yelling "Giddy-up! Yah!" 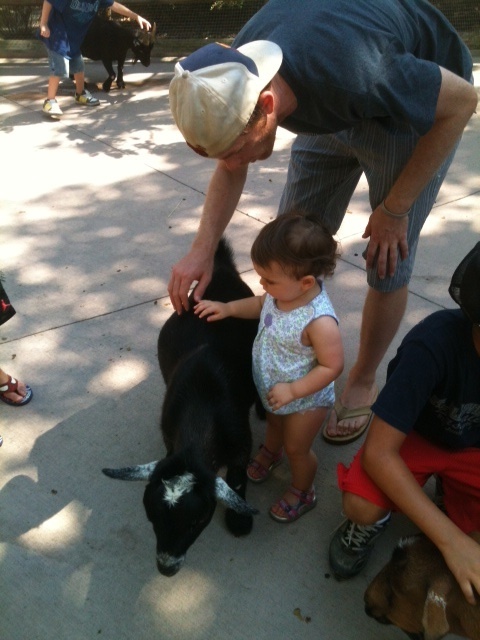 I worried that 20 months might be too young for the zoo, but the day went smoothly and the baby enjoyed herself. 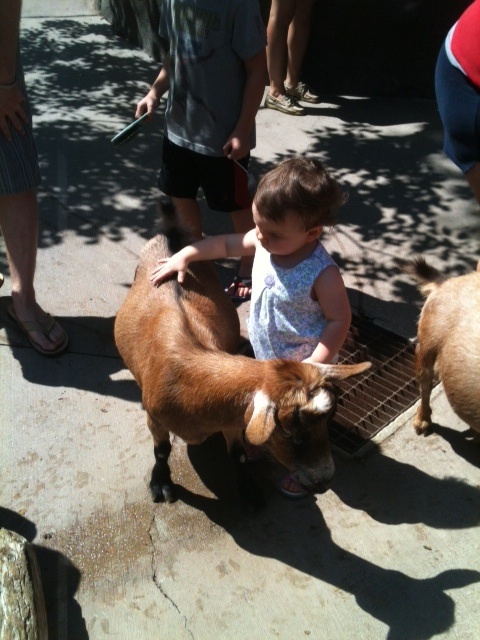 She fed a giraffe, rode the zoo train, and said the words "Elephant," "Wolf" and "Oo-oo-aa-aa, MONKEY!" for the first time. I can't wait to take her back as she continues to grow, and see what else she learns from this experience. 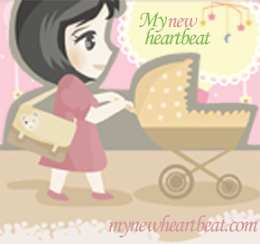 Win A Rockin' CD for Your Kiddo!